We spent a lot of our life living on different Islands. The common thread through our life on these islands included waves and martial arts. Jiu-Jitsu joined our path later on our journeys. We felt like we were always protected and shielded in some way when we ventured out into the ocean. The latest additions to the DojoChimp Kimono collection was inspired by the many influences and cultures on the pacific islands. 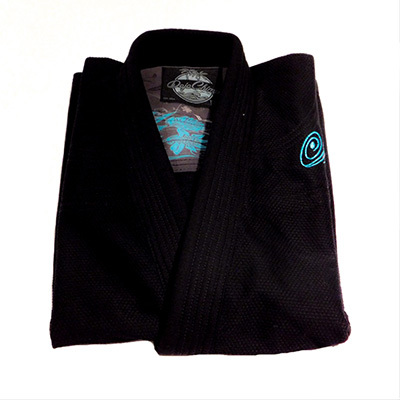 Both the male and the female Gi come in black. Dark but light, 450 GSM Pear Weave jacket. 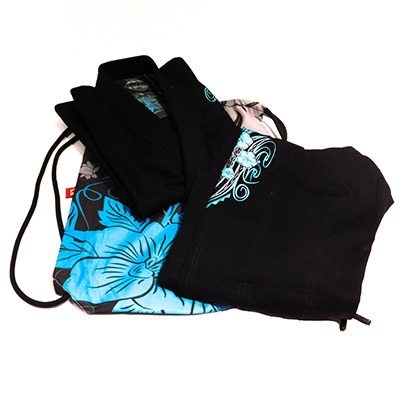 The pants are 10 oz Rip Stop, with a pearl weave gusset for added grip and flexibility. The earth brown and copper highlights in the male Island Gi embroidery give you that connected feeling to the ground. Waves across the shoulder lining lets you know that the strength of a wave is powerful. 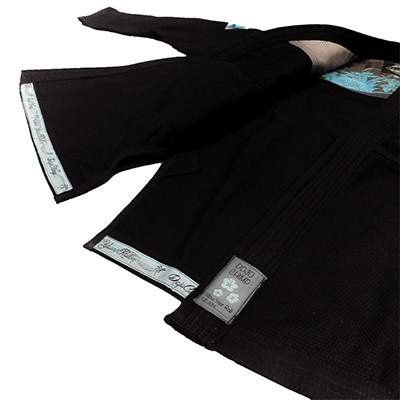 The garden sublimated shoulder lining in the female Island Flower Gi softens the roll across the shoulder line. Female slim cut.